Sweet, handsome, and irresistibly snuggly - just like the new baby boy! 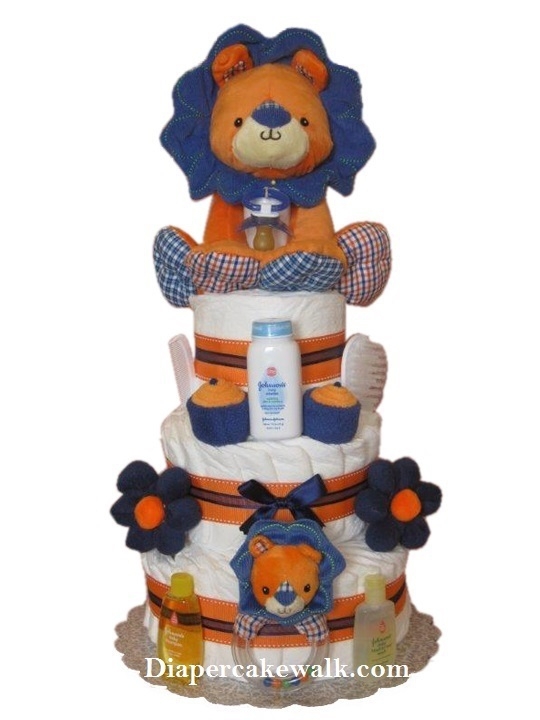 This pretty pair of baby lions which is decorated and surrounded by neat, useful daisies, are sure to bring a delightful atmosphere to the hospital or the new baby's home. With its clever daisies made from 100% usable baby washcloths and baby spoons, this is the perfect unique gift to send to the baby shower when you can't be there!